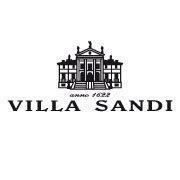 VILLA SANDI PROSECCO SUMMER From July,1st to August,31st 2015 Villa Sandi welcomes, upon booking, the Expo 2015 visitors with guided tours of the Seventeenth Century Palladian Style Villa and its underground cellars. Possibility to organize wine tastings at the "Botteghe del Vino" in Crocetta del Montello and in Valdobbiadene. Villa Sandi is a splendid Palladian-style villa dating back to 1622, currently in the precincts of the Villa Sandi winery.